This report offers a contextual analysis of the growth of “people-to-people” peace meetings in Sudan and its borderlands in the period between the Addis Ababa peace agreement of 1972 and the Comprehensive Peace Agreement of 2005. It is designed to contribute to an understanding of the political economy of loc al peacemaking in Sudan and, more widely, to the growing body of literature on indigenous approaches to peacemaking in Africa. The report includes four case studies: the Wunlit peace meeting of 1999; the ceasefires and local dialogue in the Nuba Mountains from the 1990s onwards; the role of Abyei in the North-South peace process; and the crisis of the judiyya system in Darfur. There is a time-chart of peace meetings over two decades in Southern and Northern Sudan (including Darfur and the transitional zone between North and South) and a table of international organisations involved in recent local peace processes. Full-text versions of reports cited in the bibliography are incorporated into the Sudan Open Archive. In the lead-up to the 2005 Comprehensive Peace Agreement—and in response to the earlier signing of the Machakos Protocol (2002)—an increasing number of ethnic and regionally based groups in north and south Sudan began to make claims for political representation and a share of development resources. Local conflicts that had been obscured by the wider civil war became more visible, leading to an increasing number of local peace negotiations. 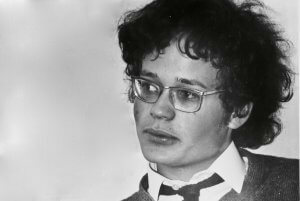 These negotiations became known as “people-to-people” processes, characterised as they were by an absence of mediation, a greater level of public participation, and a concern with local rather than national issues. Agreements reached through these processes led, in some cases, to reductions in violence, the resettlement of displaced communities, the opening up of grazing lands, markets and trade routes, the return of abducted civilians and agreements on restitution for human and economic casualties of war. Sudan has been at war for more than two decades. The war in the South (and in the transitional zone between South and North) came to an uneasy end in 2005 with the Comprehensive Peace Agreement (CPA) between the Government and the Sudan People’s Liberation Movement/Army (SPLM/A). At the time of writing the war in the West, in Darfur, remains unresolved. In the East the threat of conflict is ever present. The CPA offers a partial solution to the endemic violence that afflicts many parts of the country, but it is widely recognised that local conflicts, among other factors, have the potential to undermine any existing agreement, disrupting the process of political normalization envisaged during the six-year interim period. Parallel to the internationally-sponsored peace negotiations that brought an end to the war in the South—and the current talks that aim to do the same in the case of Darfur—there has been an array of local peace meetings and conferences between representatives of ethnic and other groups involved in smaller-scale conflicts in various regions of Sudan. Some of these local disputes precede the wider civil war; some have contributed to it; some have been caused or exacerbated by it. The meetings held to try and resolve them have their roots in established indigenous processes of conflict resolution, such as the judiyya1 practised in Darfur and elsewhere in the North. These processes were developed and supported by earlier administrations in Sudan from the Condominium era onwards, sometimes being incorporated into the structures of local government. In recent years they have been revived and modified, often under the aegis of international non-governmental organizations. In the north of the country today, some mediation under the auspices of the Government of Sudan (GoS) still continues, but this has been increasingly compromised by the same government’s use of tribal militias for purposes of counter-insurgency. In the South the SPLM, in its earlier role as a military administration and its new role as the majority party in the new government of South Sudan (GoSS), has endorsed or participated in numerous local peace meetings. The GoSS has as yet no publicly defined policy on their relation to administration under the CPA, though it was reported that early drafts of the new constitution of South Sudan proposed a representative assembly of traditional leaders. So far, the impetus behind the expansion of local peace meetings in Southern Sudan has come, principally, from churches, civil society activists and international agencies. "Our sons are deceiving us... … Our soldiers are confusing us"
You, translators, take my words… It seems we are deviating from our agenda. What I expected was that the Chiefs of our land, Dinka and Nuer, would sit on one side and address our grievances against the soldiers. I differ from previous speakers… I believe this is not like a traditional war using spears. In my view, our discussion should not concentrate on the chiefs of Dinka and Nuer, but on the soldiers, who are the ones who are responsible for beginning this conflict. When John Garang and Riek Machar began fighting [leaders of rival SPLA factions] did we understand the reasons for their fighting? When people went to Bilpam [in Ethiopia] to get arms, we thought they would fight against the Government. We were not expecting to fight against ourselves. I would like to ask Commanders Salva Mathok & Salva Kiir & Commander Parjak [Senior SPLA Commanders] if they have concluded the fight against each other. I would ask if they have ended their conflict. Only then would we begin discussions between the chiefs of Dinka and Nuer. The soldiers are like snakes. When a snake comes to your house day after day, one day he will bite you. Since God has given us this meeting together, we must ask the soldiers if they have concluded their conflicts… We Dinka and Nuer, did it ever happen, when we used to fight with spears and shields, that foreigners were called in to assist us? The cattle that were raided from both sides, and the children that were abducted [in the present conflict]—I think ordinary citizens were not involved in these actions. Basically we are not very powerful. 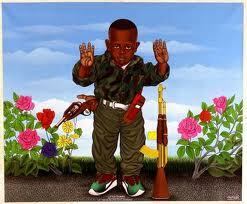 But if we are indeed powerful then we must raise a case against the soldiers. If we decide to recover the cattle from Dinka and Nuer, you will not obtain them from ordinary citizens, but from the soldiers who hold them now. In the peace meetings we concluded with those of Twic County [in N. Bahr el Ghazal], I was a participant. I have always been called to attend these meetings, but I do not honestly understand the genesis of these problems. We have been called to reconciliation… Even if we sacrifice a hundred head of cattle to confirm our agreements…in the end will we be able to restrain the actions of the soldiers when they determine to raid? Our soldiers are confusing us…. What are they really doing? [Dinka begin to sing]. What is happening is, our sons are deceiving us. Take Matip [leader of proGovernment Nuer armed group], when he split from Riek, he raided us. Traditionally, when we have a lion that attacks and eats our cattle, we kill it. I tell you, let us grasp hands, and ask Matip where he stands. If he says he is a man of Omer [Beshir, President of Sudan] let us prohibit him form taking our oil and get rid of him [applause]. I tell you Southerners, if John Garang and Riek Machar are deceiving us by allowing us to have this meeting, and later refuse to honour our agreement, then we must rebel against them… We must overthrow them so that we can be united and move forward. I will stop here, since I was taken by a fever last night. The war in Sudan, like the other civil wars that have proliferated in the past two decades, has presented novel challenges to international diplomacy. The doctrines and instruments designed to deal with international peace and security during the Cold War proved inadequate when confronted with a new era of internal wars. These wars, such as those in Sudan, have less to do with the power struggles between states or power blocs and more with structural inequalities in the local and global economy, poor governance and disputes over resources and ways of life. And they often manifest themselves along ethnic or religious divides. In such wars, which are characterised by fragmented political authority and predatory economic activity, it has been non-combatants who have borne the brunt of the violence, sometimes to the point where entire social groups have been threatened with extinction. During the Cold War period a separation was established between the domestic needs of states and the maintenance of international security. On the one hand there was the issue of the promotion of social and economic development and fulfillment of basic human needs; on the other the perceived need to maintain a balance in relations between individual states and, more broadly, the western and communist blocs. In the post-Cold War period this distinction has evaporated: development and international peace and security have become intimately linked. Responding to the new international environment, the United Nation’s An Agenda for Peace (Boutros-Ghali 1992) offered new policy instruments to address the twin challenges of violent conflict and underdevelopment. Introducing the concept of “peace building”, it marked a shift from classic peacekeeping to multiple and multi-level forms of intervention designed to establish enduring peace in specific conflicts. It is now commonly — and plausibly — asserted that peace agreements which neglect public consultation and participation and which are not complemented by local-level peace processes are unlikely to last. As such, peace building can also be seen as part of the current restructuring of global governance. This has involved a weakening of the role of the nation-state as a vehicle for promoting the well-being and security of its citizens, and a world-wide growth in non-state actors, including non-governmental aid agencies, many of which have taken on tasks of peace building. Sudan, in many respects, is the epitome of this new approach. With a variety of international economic and military security interests at stake, there is a remarkable range of multilateral development organisations, international non-governmental organisations, private consultancies and private security firms involved in peacemaking and peace building. As responsibilities are divided up, happenstantially, among these actors, there is considerable overlap and little overall coherence. Their interventions with existing indigenous processes of conflict resolution are not always explicit, or fully understood by the protagonists. In the 1990s, with the administrative apparatus in many parts of the country abandoned or subverted as a result of war, international NGOs (INGOs) and others involved in assistance to Sudan began to engage with and, in some cases, revive local modes of local conflict resolution. Support for such local peace meetings has now become an established part of the complex intervention by humanitarian and human rights organizations in Sudan. This is a development that has been paralleled in a number of other conflict-affected countries. 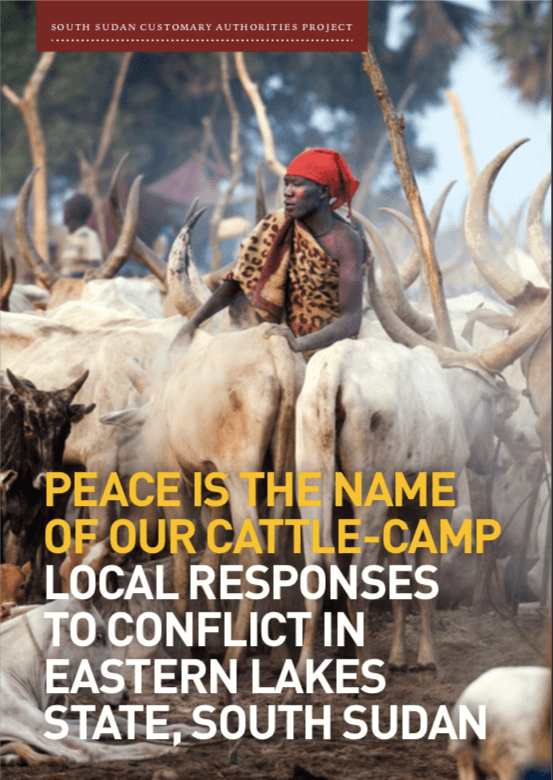 The potential of local conflicts to undermine peace agreements at the national level has generated particular interest among donor governments in community-level peacemaking and reconciliation processes. In 2002, for example, the US government, through the Sudan Peace Fund (SPF), budgeted US$10 million over three years to support inter-community dialogue in southern Sudan. In government-controlled areas of the North, UN agencies and INGOs have supported a wide range of activities under the rubric of “peace building” and “conflict transformation”. At the same time, the war in Darfur and the associated breakdown of relations between ethnic groups in western Sudan despite numerous tribal conferences, serves as a sharp reminder of the political limitations on local-level peacemaking. 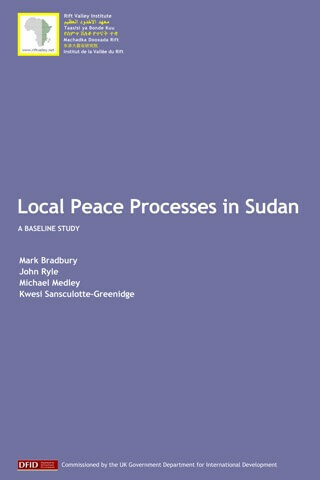 The present report is an analytical survey of the literature of local peace processes in Sudan—variously referred to in English-language literature as “people-to-people”, “local”, “non-official” or “grassroots” peace processes—from the 1980s to date. It attempts to bring together the available written records of peace meetings in all parts of the country and to provide the most comprehensive possible bibliography, to-date, of these sources of information. The bibliographical research has been guided and supplemented by interviews with researchers and participants in key peace meetings. The report examines the relationship between people-to-people meetings and other activities conducted under the aegis of peace building and it assesses the relationship between these local level processes and the national political dialogue. The core of the report is a series of case studies of particularly significant local peace processes: Wunlit and related meetings in the Nilotic areas of the South; Abyei and the Nuba Mountains in the North-South transitional zone, and Darfur in the North. The four studies present a historical account of peace meetings in each location, discussing their effectiveness and situating them in the political economy of the wider war. Together these essays provide a framework for understanding the wide variety of transactions that have taken place under the rubric of peace building in Sudan. As well as a comprehensive bibliography and an extensive glossary, the report has established a database of over a hundred known local peace meetings. Information in the database, which can be updated, is presented in two forms: an analytical list that summarises the key features and outcomes of all recorded meetings (where evidence of these is sufficiently clear), and a geographical and chronological table that plots the locations of peace meetings against the date when they took place. Finally the report also includes a map showing the locations of the meetings and the ethnic groups involved in them. Assembling the material on local peace meetings has not been a straightforward task. This situation is in contrast with the documentation of the national North-South peace process, for which key documents are widely available (see, for instance, Justice Africa 2002; USIP 2005). In the case of local peace processes, the written material, though clearly extensive, is widely scattered and hard to track down, archived as they are in offices of NGOs in Nairobi, Khartoum or elsewhere. Though some organizations involved in supporting peace programmes—such as Pact, the NSCC and the Larjour Consultancy—have endeavoured to make records of their work available online, there are many other reports commissioned by NGOs that have never been distributed, or that did not get beyond the draft stage, or that are buried in the mass of grey literature generated by the aid presence in Sudan. There are cases of peace meetings that are known from project proposals to have been supported by international organizations, the outcome of which remains undocumented. The exemplary documentation of the Wunlit peace meeting between the Dinka of former Lakes Province and the Nuer of Western Upper Nile, which produced translated transcripts of the entire proceedings online (see SSFI 1999), and which has consequently become a document of historical importance, has not been replicated. There are, no doubt, records of peace meetings made by officials of the Government or the SPLM that remain unavailable to the public. Finally, for many meetings, particularly those that have taken place without external sponsorship (for instance those between sections of the Dinka of Northern Bahr el Ghazal and Baggara groups from South Darfur known to have taken place in the 1990s) there is no written documentation. Such meetings form part of an oral record that has an important role in local peacemaking, but they are beyond the scope of the present report. Research for the report took the form of initial, unstructured interviews with facilitators and protagonists of local peace meetings, with particular officials of international NGOs who have been involved with support for peace building, and with academics and researchers who have studied them. 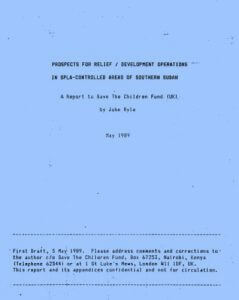 These interviews and conversations, which took place in offices of aid organizations and academic institutions in London, Khartoum, Kadugli, Nairobi and Lokichokio, were helpful in developing an analytical and interpretive framework for the report and in locating elusive archival material. Document gathering and interviews in the field were followed by the ordering and analysis of the materials, the creation of a database of peace meetings and the further acquisition of literature as more documents became available. The bibliography and the database of peace meetings cover a period up to early 2005. One of the purposes of the project has been to bring together the literature of local peace in one place and make it more widely available. The report is designed as resource for those involved in current and future peace projects in Sudan, and for future researchers. The bibliography and database, therefore, provide additional information to the meetings referred to in the text of the report. Copies of all the documents listed in the bibliography have been collected, in digital form or hard copy. These will be made available, in due course, online and on disk as part of a wider project for a digital, open-access library of documents on Sudan, the Sudan Open Archive, developed by the Rift Valley Institute. URLs are included in the bibliography when the documents are already available online.